Hand casting in a bucket is a standard LifeCasting technique. Problem is that it can be difficult to get the "slug" of alginate and casting stone OUT of the bucket when it is time to unmold your casting. To come out easily, you have to be able to "break the seal" between the bucket and the alginate. 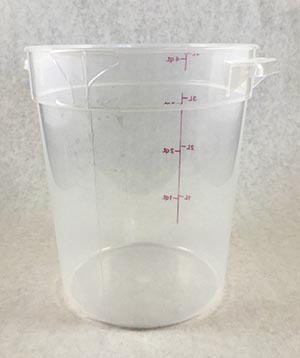 Our hand casting buckets have a cut down the side that is taped closed during the molding process, but can easily be untaped to release the mold. This really saves time and aggravation. If you have to pull too hard on the bucket to get the alginate slug out, you can actually damage the casting inside. With our buckets this is never a problem. 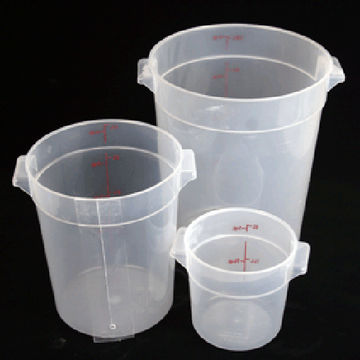 Reusable hundreds of times, these buckets are a terrific value. Available in 1 quart, 4 quart and 8 quart sizes.